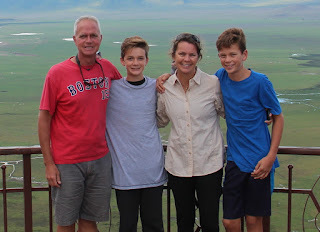 Winter break this year took us to Tanzania. We were drawn to this place initially by our neighbors whose home base is in Arusha, and then by the opportunity to combine safari with diving while exploring the eastern side of the continent. The special bonus was a brief stopover in Nairobi where we had the chance to catch up with a heap of Delhi friends. This holiday was short on flying time - just about four hours over to Nairobi - and long on road time. 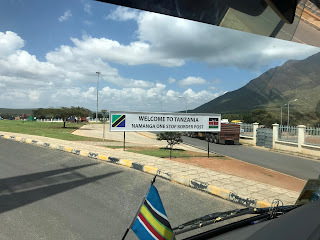 Self-drive isn't really a thing in Tanzania like in Namibia and South Africa so we were all passengers this time around and excited to see more of the countryside than if we hopped from one place to the next by airplane. The travel was indeed quite slow with 50km zones set up as speed traps all along main roads and even with cautious driving, police still stopped our car at least a few times. But the scenery was incredible and the glimpses into rural, traditional life were unending with vast amounts of open space, rolling hills, and small villages. The nice thing about not driving and not navigating is having all the time in the world to look out the window. 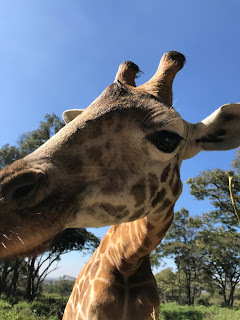 Our first stops in Nairobi were the giraffe and elephant sanctuaries and after that, we spent the afternoon lounging with Delhi friends who now work at the International School of Kenya. Who doesn't love a giraffe closeup? 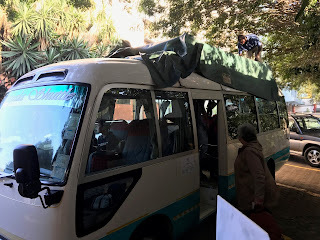 The following day, we were off to Arusha via tourist bus. It took about five and a half hours which included the border crossing where all luggage had to be unloaded from the roof, scanned, and reloaded as passengers got their immigration stamps and some (actually just us, the only US citizens on board) obtained the tourist visas required for entry to Tanzania. Once on the road, the bright colors of traditional Maasai cloth were visible everywhere. 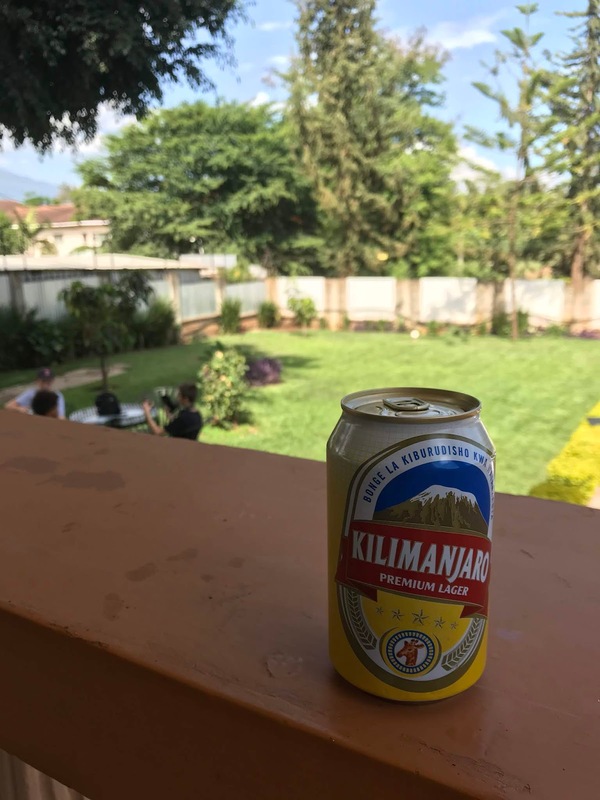 Awaiting us when we arrived in Arusha: a cold beer with friends with a view of the garden and Mount Meru in the distance. There were more than a few Kilimanjaro's consumed on this trip. As the t-shirt says, "if you can't climb it, drink it!" Our hosts in Arusha own a tour company and had been invited to scope out a new lodge. We were invited us to join them and it turned out to be one of the highlights of our vacation. Operated by locals on a remote property with views of Kilimanjaro, this place was really, really special. 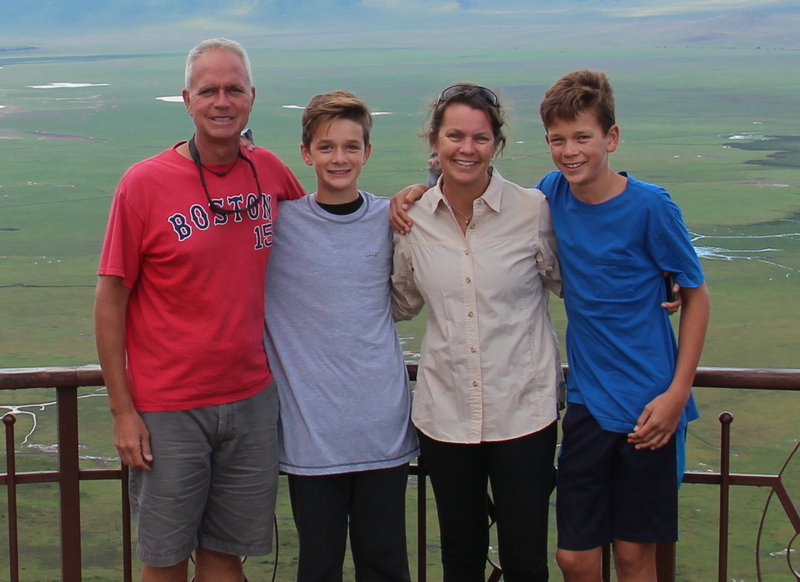 The next morning, we set off for a few days of safari in and around Tarangire, Lake Eyasi, and the Ngorogoro Crater. 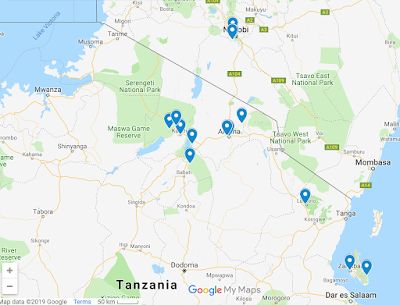 Each of these locations has something unique to offer - wildlife, the opportunity to interact with members of the Hadzabe and Datoga tribes, beautiful vistas, and even the "rains down in Africa". On our last safari day, we got an early start so that we might have the chance to join the Hadzabe on their morning hunt. Shortly into the drive, we got a flat tire though very fortunately near one of the few villages along the road. It was just after 6:00am, but everyone came out to lend a hand. In the end, missing the hunt turned out to be a a blessing in disguise; when we did arrive, the morning's kill - a baboon - had been butchered and its carcass was on display, drying in the sun (talk to Jonah if you want to see photos). Later that day, we met up with our friends at a fantastic lodge located within the boundaries of Lake Manyara National Park. The vibe at this place was so terrific that within an hour of arriving, we asked the front desk if we could stay for two nights instead of one (they said yes!). From the lodge, we took a morning walk and came across a member of Africa's "little five", a leopard tortoise, and watched flamingos from the lake's edge. After a full week together, we said thank you and farewell to Emmanuel, our delightful and incredibly knowledgable nature guide and driver. Then it was back to Arusha for Christmas and a memorable visit to our friend's childhood village, about an hour outside of town. After our time in Lushoto, we had another long ride (another eight hours with only one speedy bathroom stop) to Dar es Salaam. We very nearly missed the last boat of the day even after an "Amazing Race" dash through the ferry terminal, each of us carrying both backpacks and daypacks, running in flip fops on slippery concrete floors with ticket takers telling us we only had two minutes to get on board and us responding to all of them "We know!". Once on the boat and bags stashed, we waited until the door to the deck was opened and nabbed front row seats for the two hour ride over to Zanzibar. It was lovely to breathe in the sea air and contemplate the long travel day that still wasn't quite over. From our hotel on Paje Beach, this was pretty much our view for the next five days. While on Zanzibar, we got in two days of diving and it was great fun to test out our skills and find out what we remembered from our course. And for all the effort to get our open water certification, one would think we would also have spent some amount of time learning how to use our GoPro and buying the proper case for it. We didn't do either of those things but did manage to capture a few bits of the action. On New Year's Day, Liam gets ready for his first Coke since December 31, 2017. And that closes the door on this post, just in time to pack for spring break. Just one more trip to plan and that's to get us home in June! Related to June and summer and being back home, a side note to say that his blog has very recently crossed into its tenth year of existence. What started as a "maybe I'll give this a try" has turned into a long-term pursuit. While the frequency of posts has diminished over the years, the writing and reflecting process has been an important activity, not only for producing the best documentation of our how our family has grown up overseas but also for reflecting back on the incredible opportunities we have been granted by moving abroad. We have much gratitude for all who continue to follow along and support us in this "weird life". Thank you for reading, for asking great questions, for asking for the next blog post, for putting up with our ten-month absence each year, and for welcoming us back into the fold each summer. Thank you, thank you, thank you.